My first response was, “How cool. I am so excited that the focus is on preventing (skincare) rather than covering (make-up. )” In reality it is just a combination of both. Finding the balance between looking flawless and not appearing to have tried to look flawless is now even harder. Makeup-less perfection has always been the goal for me. This is obviously not realistic, but it’s true. As a kid / pre-teen / teen, long before my skin became acne prone, I sat and watched in awe at commercials with ‘They’re Just Like Us’ stars preaching about the amazing properties of Clearasil, Pro-active, and Stridex. When I sit back and think critically, I totally recognize that many of my skin issues have likely been brought on by over-washing and using too many products. But hey – when someone with beautifully airbrushed skin tells me that this face wash is going to clear break-outs, erase wrinkles, and solve world hunger… I’m going to fall for it. The key is finding the things that work for your skin concerns and type rather than what sounds like it should do the job. In my opinion, the best way to do that is to get the info from a professional who really knows what they are talking about. This is where it all began. I often credit proactive as being the product that gave me acne. As a pre-teen I wanted to use Pro-Active in the same way that I wanted glasses and braces. The product didn’t really apply to me. I rarely had pimples and when I did have them they healed quickly so long as I kept my hands off them. Luckily my mom wasn’t willing to buy Pro-Active for long, but by the end of the few months I had been using it I was breaking out on a regular basis. When I switched away from Pro-Active to a gentle and more basic skincare regimen, my skin cleared up. I didn’t hardly experienced break-outs, other than a rare pimple, for another ten years or so. This was actually a great time for my skin and I was down to a very basic set of products, most of which were natural. I wasn’t actively seeking out natural products, they just seemed to do the job best. I could manage any breakouts with tea tree oil and my skin felt healthy which made me feel happy. You can read more about what products I used most here. Unfortunately after a while on this regimen, I started to see fine lines in places I didn’t want them. This led me down a rabbit hole of products. In the beginning, I added a moisturizer that targeted fine lines. Somewhere along the way I started breaking out (without making the connection that the new moisturizer was likely the cause) and thus I started spot treating. The spot treating worked for a while, but then I was breaking out more and more and it seemed like my skin had become immune to the spot treatments. Enter the ridiculously high percentage products. From 10% benzoyl peroxide face washes, to spot treatments with an equally high percentage I was putting it all on my face. I would scour the aisles of Marshall’s and TJ Maxx to find labels with specific ingredients that I had been told were key. I am going to take a second to say this – You should never, ever, use a face wash or product on a regular basis with this level of benzoyl peroxide or salicylic acid without having a consultation with someone who specializes in skincare. The specialization is key. I went down this path after having a consultation with a Nurse Practitioner about my skincare concerns over the phone. She never saw pictures of my face and had little to no history of what products I was or wasn’t using. While well-intentioned, the information I was given was a bit mis-guided. I was operating under the idea that I had been given this info by a health-care provider so it must be good. In the same way that there are 5 bajillion types of graphic designers with different specialties, health care providers do not know everything. Find someone who specializes in your area of concern and start with their recommendations. It started innocently enough. I would receive a sample from a site like influenster or a subscription box. The one or two weeks I tested the project would give me a reason to love it, and then I would buy it. This wasn’t a huge issue when the products were more basic. Because I am hitting my late twenties, I am a prime target for wrinkle reduction products which are a bit more intensive. What really set me off was a sample of the night cream from Sunday Riley. I still believe it’s the best night cream I have ever used. It is so light-weight and smells incredible. At a whopping $65 per cream, it’s not a cheap investment. But the brand prides itself on being a pioneer in the skin care field for using green technology and to me – that is super important. On a trip into Sephora to restock on the night cream, an associate suggested I try some of her other products because they too are wonderful. I decided to try a sample box that contained a lactic acid treatment, retinoid serum and my favorite night cream. 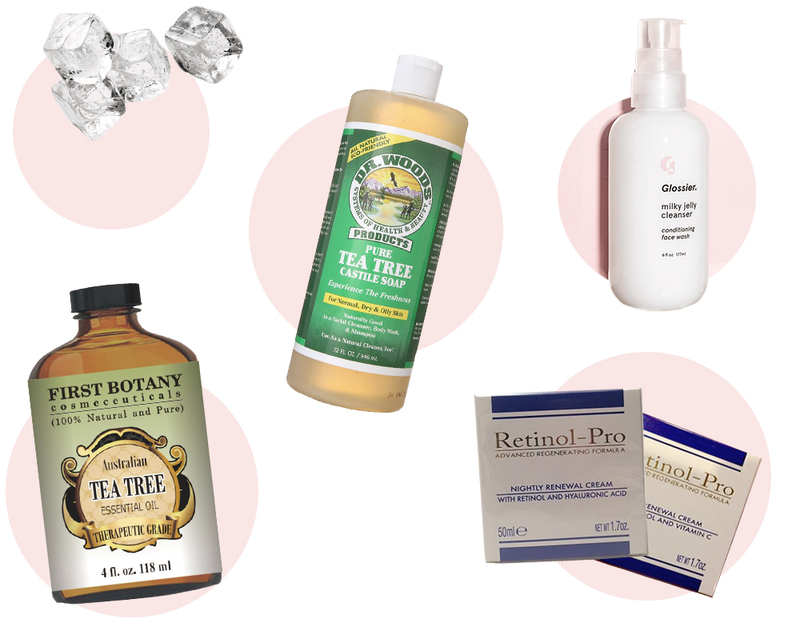 Within a week I was shouting from the rooftops about how incredible these products were. The fine lines around my eyes were gone (like, completely gone). My laugh lines weren’t creasing when I wore makeup, which is a constant problem for me. It seemed like a miracle product. At my first appointment, the facialist was so concerned at the state of my skin that he opted to clean and steam my face. Then, rather than do any sort of light treatment / extractions / etc., he put a masque on that is used to treat chemical burns. That’s how badly I was damaging my skin. I stopped using every single product that had been part of my regimen and switched to Aveeno clear complexion face wash and lotion. This wasn’t a cure-all, but it certainly got the ball rolling in allowing my skin to start healing. A week before my second facial, I decided to sign up for Curology. This post is not sponsored in any way by Curology. I sought the product out after seeing ads on Instagram and being at the end of my rope with the break-outs. After matching with a dermatologist through the Curology app, I signed up and submitted a very detailed write up of everything that had been going on + pictures of my make-up free face from all angles. About an hour after I sent my information in, I received an email detailing the breakdown of what would be in my Curology cream. I also received some product recommendations for gentle products to use in my new regimen. My skin is not 100% back to normal but OMG has it improved. I still have a lot of healing to do but if I needed to run out of the house last minute without makeup, it wouldn’t be the end of the world. A month ago, that would have been a very different story. My number one take away from all of this is that you should always consult with a professional if you are struggling to find the right treatments for your skin. This doesn’t mean you need to opt to go once a month like I do, but you could have an appointment at the beginning of each season to check in and see if you need to make any changes. On top of it being important to take care of your skin for health reasons, it really does make you feel better knowing that what you are doing is the best regimen for your skin. There’s a lot to be said for peace of mind! This post was originally published on July 8, 2015 and has been updated to reflect new opinions. When I originally started testing out natural deodorants. I started out by using products that were most similar to the standard anti-perspirant. First, I want a product that has a similar application process to what I’m used to. My second goal is to move away from using products that contain aluminum. 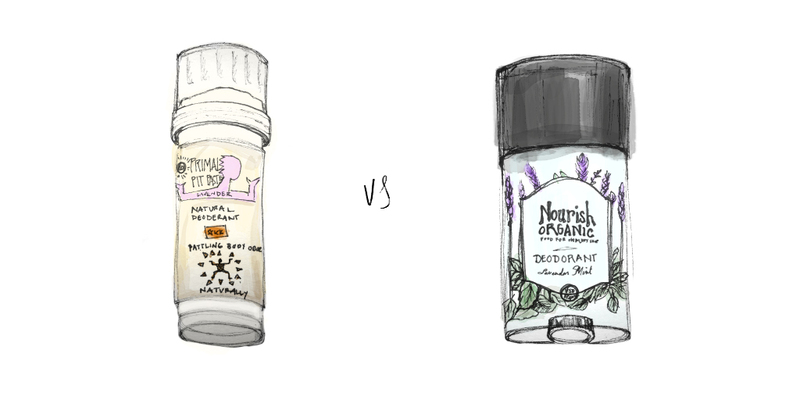 I have tried a number of deodorants since my initial switch: Primal Pit Paste, Nourish Organic, Tao Crystals and Piper Wai. More about my experience with each after the jump. My 5 must-have products for clear skin! In the last few years I have really started to hone in on my skin-care regimen, especially when it comes to maintaining clear skin. I’ve mentioned in the past that I started to get acne in my early twenties, and also that I’m a picker. Breakouts drive me up the flipping wall because I can’t leave them alone. I rarely break out (maybe 1-2 times a month) but when I do it’s usually cystic. One spot turns to three, turns to a giant scab, turns to…you get the point. Because of all this, my goal is to prevent absolutely any trace of a break-out so there is nothing to pick at. I thought I would share what is working for me right now – I say right now because I am positive that it will be an ever-evolving list. Women’s wellness is something that is so important to me. I am a firm believer in finding the underlying issue vs. the taking whatever the quick fix is for my symptoms. Growing up in Colorado, most of the Doctors I saw in my life were focused on finding holistic remedies first, and pharmaceutical remedies second. That is a stark contrast to most of my experiences in the North East. Until moving to Philadelphia I had never been on to google my symptoms, but I found myself wanting to avoid the Doctors office more and more because of the sensationalized advice I was getting. But Google is really not a good place to get your info, and I know that, and thus the vicious cycle of not getting the right treatment the first time around began. Enter Maven. 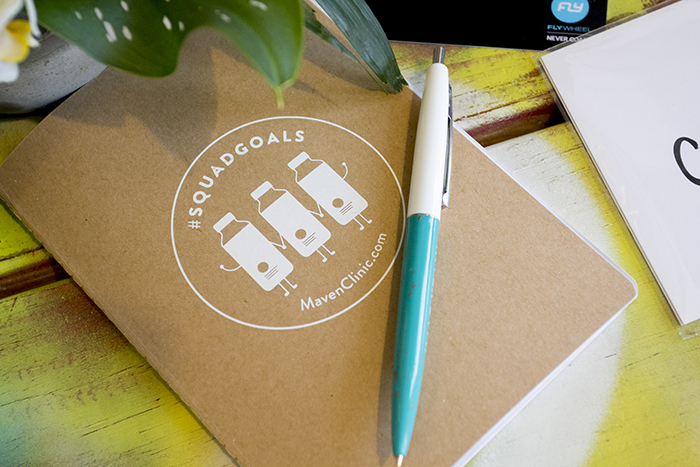 In case you haven’t heard of it yet, the Maven Digital Health Clinic is a digital health clinic specifically for women. You have access to Dr’s, Nurse Practitioners, Therapists and more all though your phone. I recently had a chance to give the Maven Digital Health Clinic a chance and was instantly hooked. You book a 15 minute appointment through their iphone app or website and go from there. You have the option to provide information for your practitioner ahead of time in the comments section so they can come prepared with information for you. Plus, they are able to write prescriptions if necessary. The fee is a flat $25 for the 15 minute appointment. No lines. No sitting in the waiting room 45 minutes past your appointment time waiting to be seen. Best, no more showing up two hours late to work because of a Doctors appointment. The fact that I can book a 15 minute face-time appointment with a Nurse Practitioner, write out my concerns ahead of time so she could be prepared when we met, and know that I would be met with on-schedule is a total game-changer. Adios WebMD 🙂 After two appointments I reached out to let them know how much I enjoyed using the app and ended up walking away as a brand ambassador. THAT is how much I love this app. Click through to read about one of my experiences and to get a code for a free appointment + a swag bag with all kinds of goodies!